It's beautiful, it's lovely, it's amusing, it's Ubuntu MATE 18.04 beta 2. It is an LTS version which will be supported for 3 years. 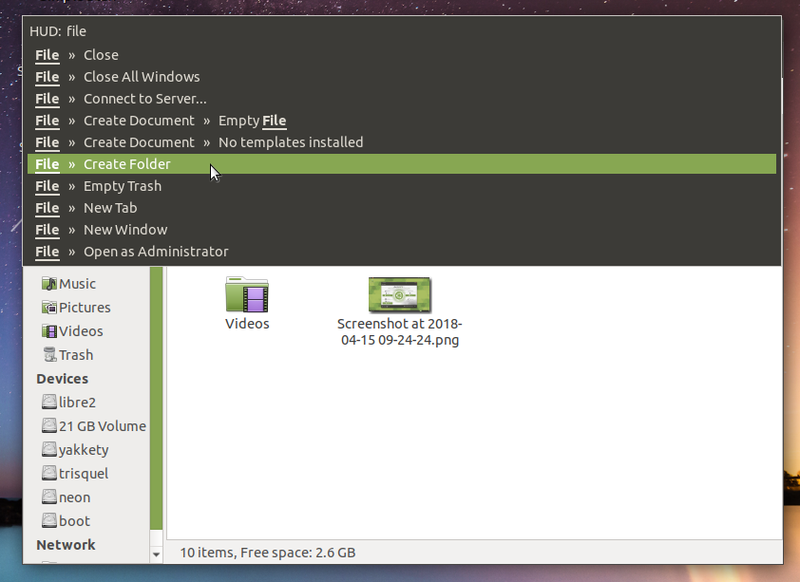 It's more just-work now with a set of different appearances for Windows users ("Redmond"), for Mac OS X users ("Cupertino"), for Unity 7 users ("Mutiny"), and of course for long time Ubuntu MATE users themselves ("Traditional"). It comes with special Welcome program to introduce Ubuntu MATE for any new user, it comes with same experience like previous versions but latest applications (LibreOffice 6.0, Firefox 59, MATE Desktop 1.20) and enhancements, it needs only mid-level specs. 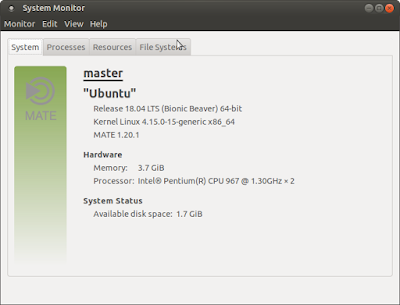 with around 640MiB of RAM, and those all made Ubuntu MATE beta 2 really enjoyable. 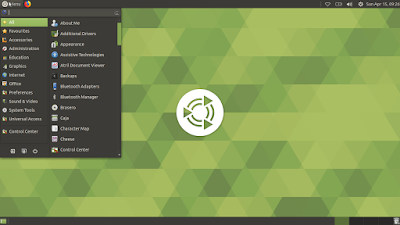 This short review will help you expecting what you will get on Ubuntu MATE final release later on April 26. Enjoy! 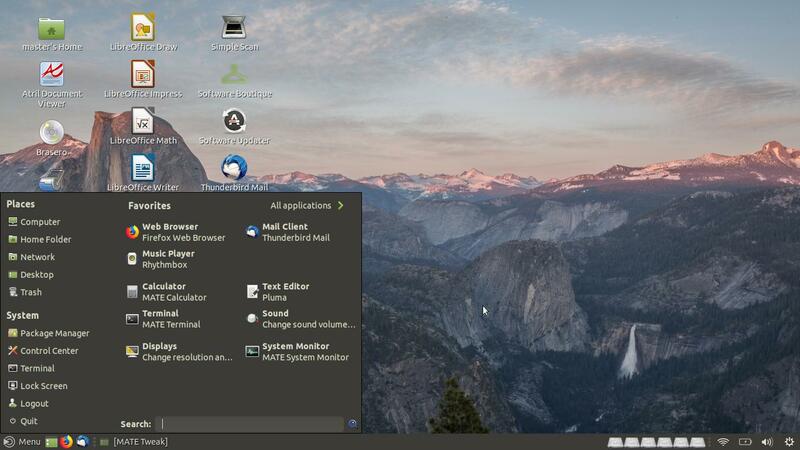 Read also series of Bionic beta 2 reviews including Kubuntu, Lubuntu, Lubuntu next, and Xubuntu. 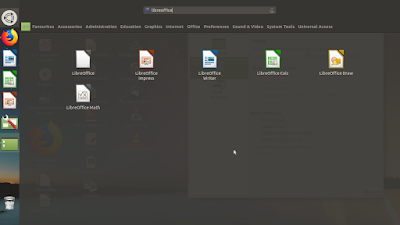 You can also compare them to Ubuntu original. Ubuntu MATE 18.04 is named Bionic Beaver and is an LTS version which will be supported for 3 years (2018-2021). 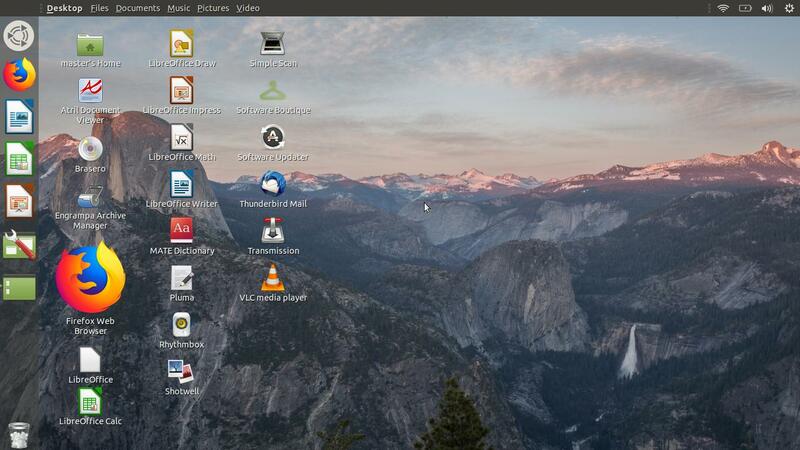 It uses the Linux kernel 4.15, LightDM 1.26.0, Xorg 1.19.6 display server, and MATE Desktop 1.20. 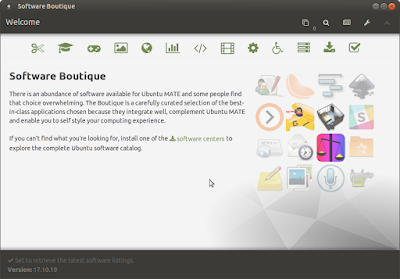 The beta 2 is available to download at http://cdimage.ubuntu.com/ubuntu-mate/daily-live/current/. 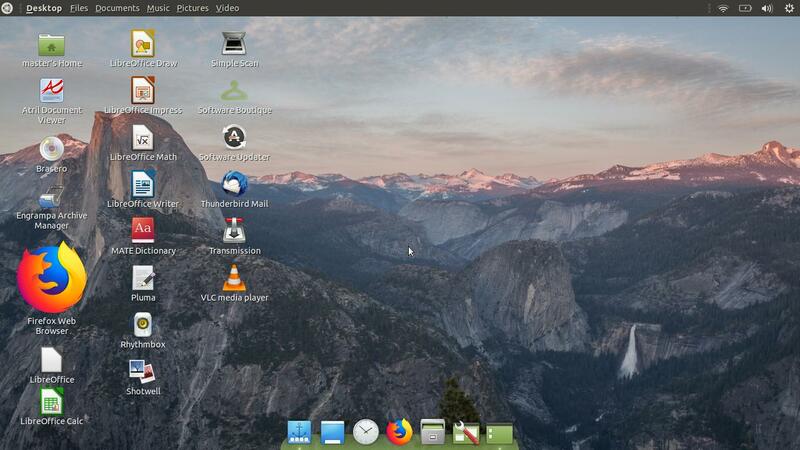 This one is the default wallpaper of Ubuntu MATE Bionic beta 2 when I put many application icons on it. 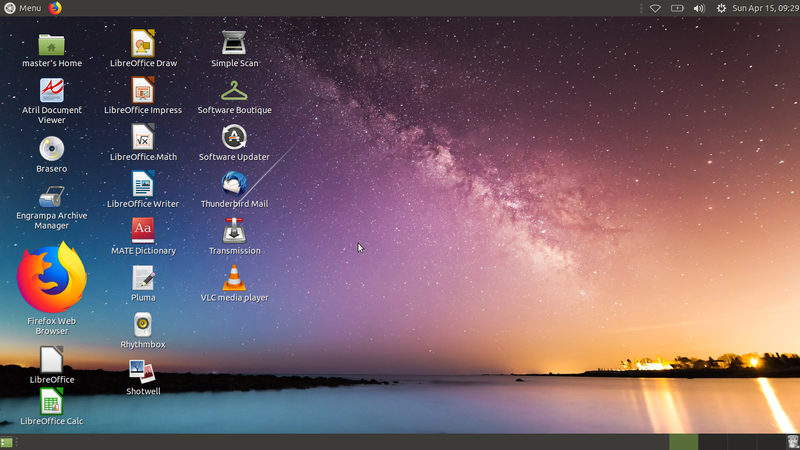 This means not only it has a cool wallpaper, but it also keeps our tradition to put icons on desktop! This tradition is now cannot be done with Ubuntu original (GNOME 3.28) but fortunately. 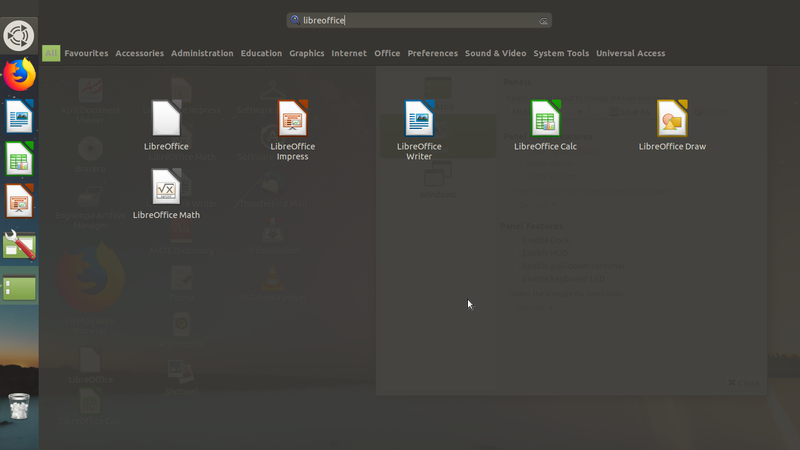 And the default desktop now has menu in modern style (with search) and can be opened with Super key! This is the new profile called Familiar. I like this change and I think this is the right decision. This is the change in 18.04 compared to one version older on last year 2017, in 17.10. 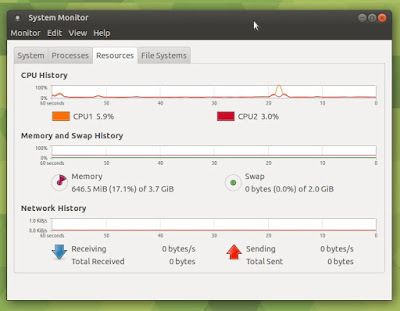 It's about 640MiB of RAM at idle time. Far above lightweight group consisted of Kubuntu (~370MiB), Lubuntu (~230MiB), Lubuntu Next (~260MiB), Xubuntu (~350MiB) but half under Ubuntu original (~1.2GiB). 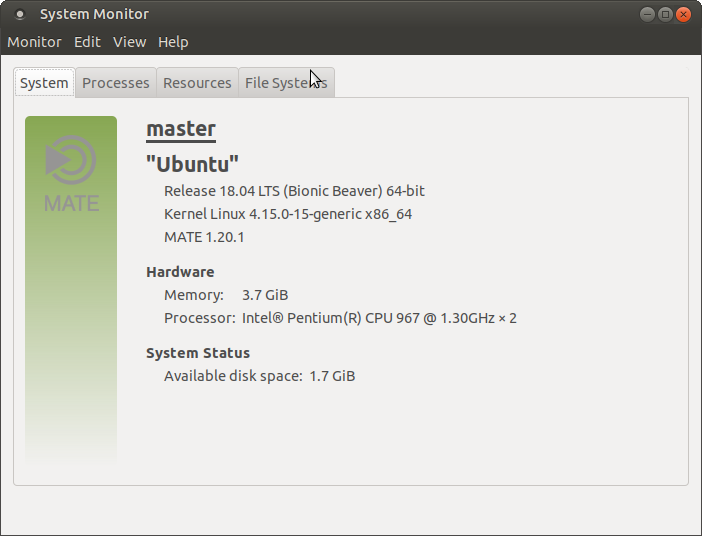 So we can consider this Ubuntu MATE Bionic in the middle group. 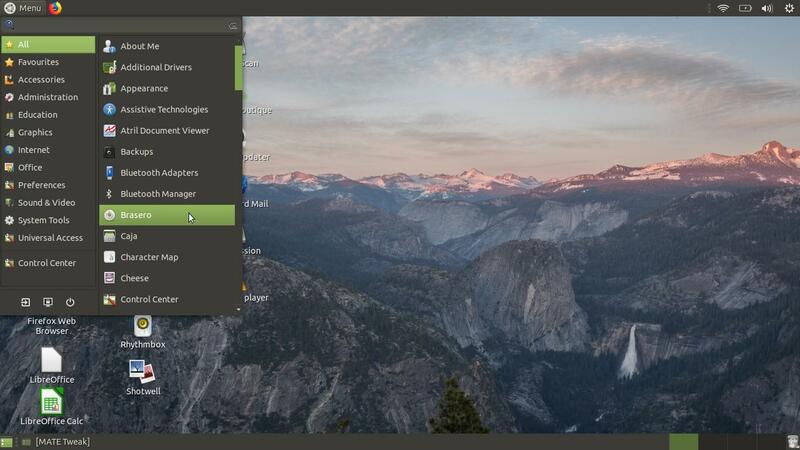 Ubuntu MATE brings many different desktop appearances ("profiles") you may select at anytime. Did you come from Windows? Then choose Redmond. It has bottom panel and bottom-left menu. Did you come from Mac OS X? Then choose Cupertino. It has top panel and bottom dock. Did you come from Ubuntu Unity? Then choose Mutiny! 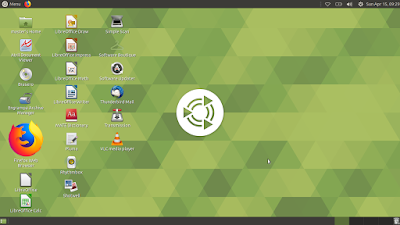 Even if you come from XFCE (Xubuntu) or even the oldest Ubuntu (GNOME 2), choose Netbook or Traditional respectively, you get it back! To revert back, just choose Familiar, the default appearance. You can change between alternative desktops using Tweaks from menu > Preferences > MATE Tweak > Panel > select panel layout > OK. Table below showing them all and you just need to click the picture to see it bigger. Are you Ubuntu users since 11.04? Do you like Unity 7 desktop environment? 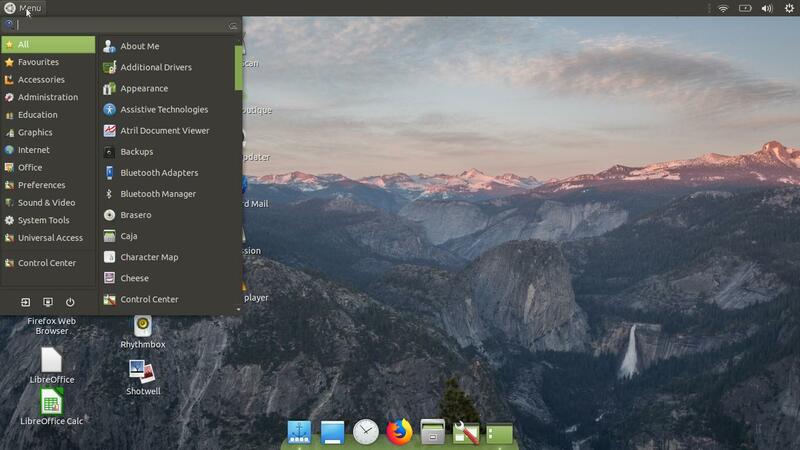 If so, Ubuntu MATE 18.04 has its own Unity user interface, called Mutiny. It's more polished today compared to its old versions on 17.10 with a full-screen menu (like Unity 7) and global menu (like Unity 7)! The HUD is there too but it's disabled by default on beta 2. HUD feature is available but it's disabled by default and should be turned on manually by command lines (see below). 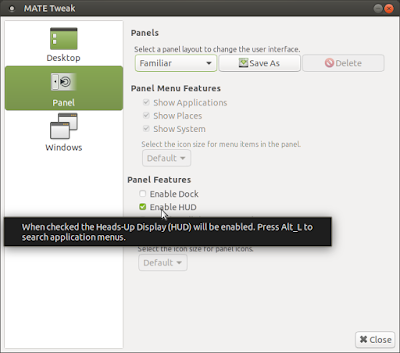 The difference to the original HUD of Unity 7 is the HUD on Ubuntu MATE is locally per window, and not globally at the top panel. Once enabled, it's amazing, press Alt once to reveal the HUD, press Alt once again to hide it. How to enable it? Simply go to menu > Preferences > MATE Tweak > Panel > give check mark to Enable HUD > OK. If you want to do it in command line way, invoke first gsettings set org.mate.hud enabled true and then invoke /usr/lib/mate-hud/mate-hud . When I have a first login, I meet the Welcome window. 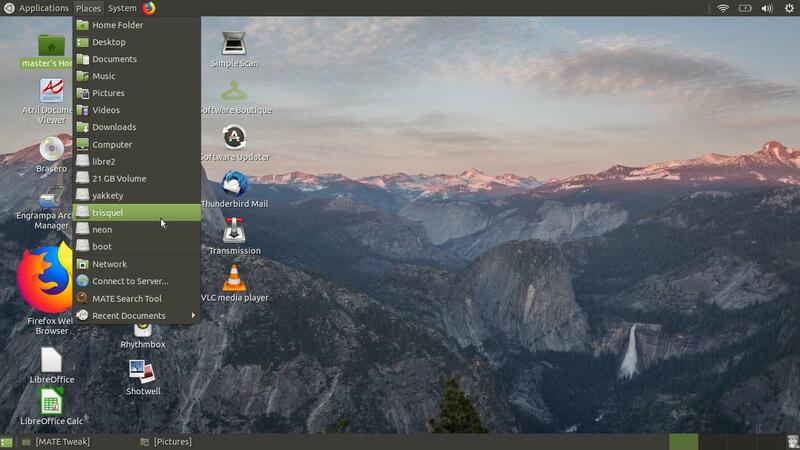 It is a special program from Ubuntu MATE to introduce itself unto us. 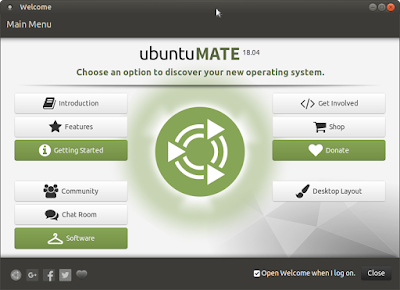 It has Introduction section, and also Features and Getting Started sections, and many more, all to help new users to operate Ubuntu MATE! 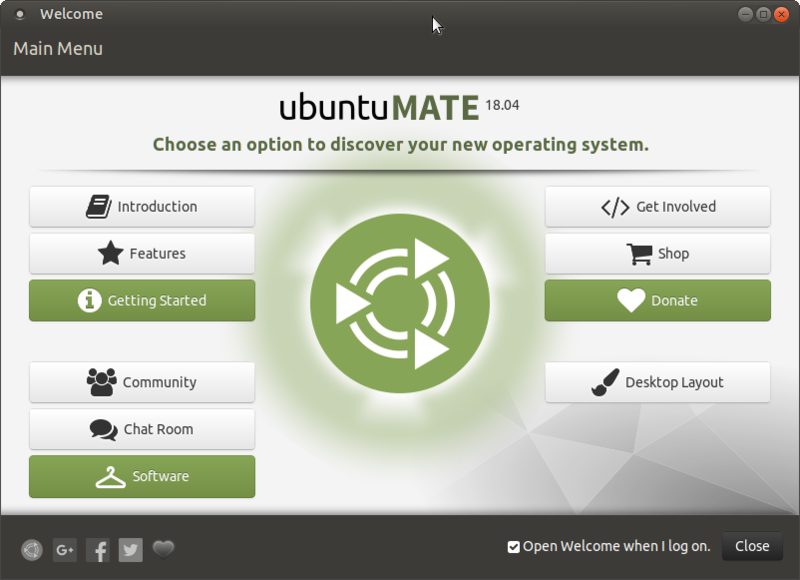 Try Ubuntu MATE and you will meet the Welcome. 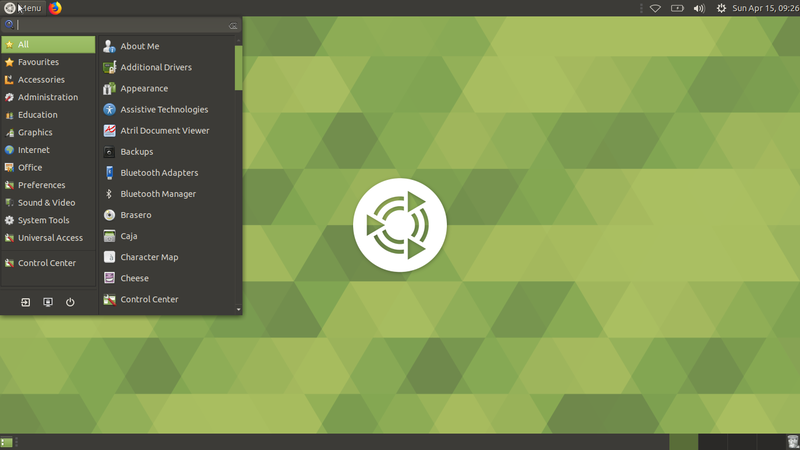 I believe if you are new to Ubuntu MATE you will find this Welcome Greeter very enjoyable. Try it! 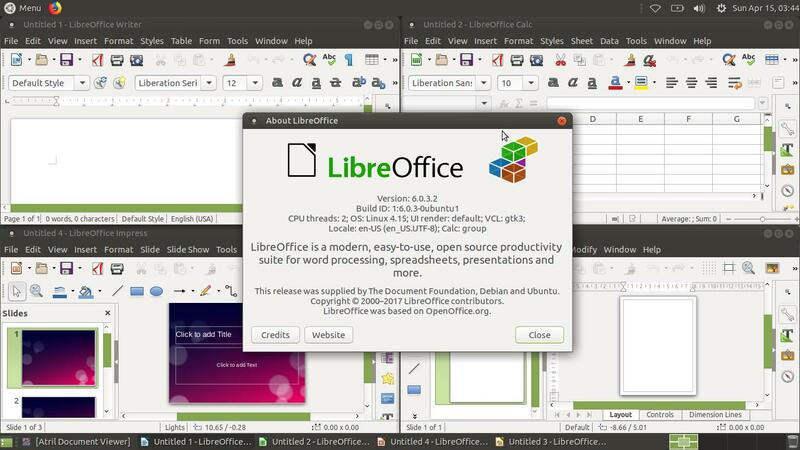 Like all in the Bionic beta 2 group, Ubuntu MATE brings LibreOffice 6.0 and Firefox 59, the latest version of its main programs. 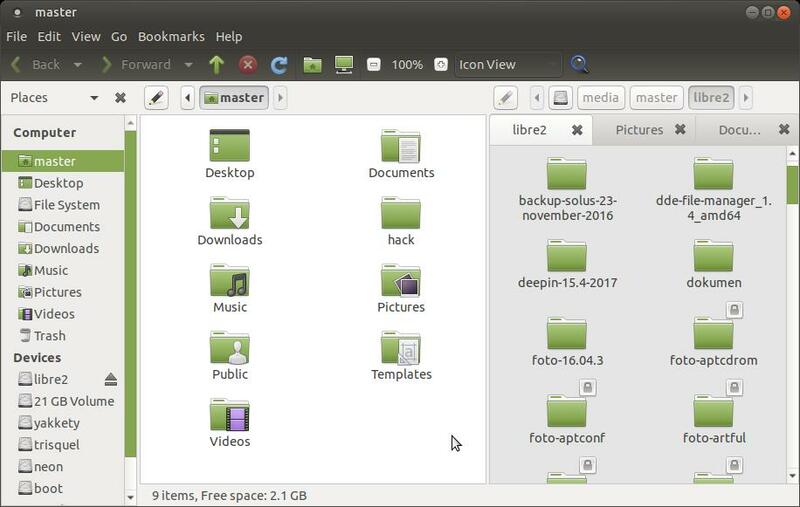 It brings Caja File Manager, MATE Desktop 1.20 with MATE applications, it brings Mozilla Thunderbird (email client), GNOME Disk Utility, Baobab (Disk Usage Analyzer), Transmission (BitTorrent client), and more. 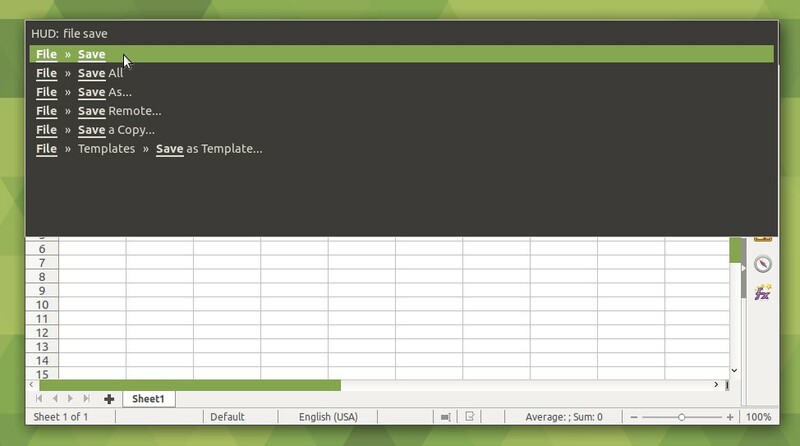 This is the file manager of Ubuntu MATE, Caja. 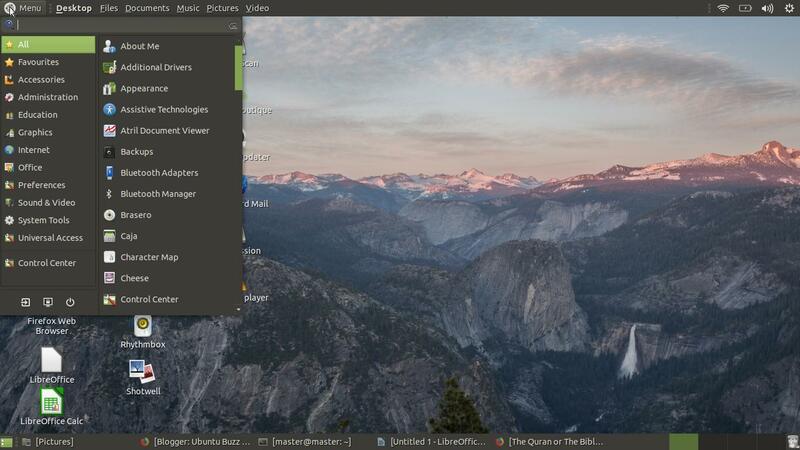 If you use Ubuntu MATE, you will use it everyday. 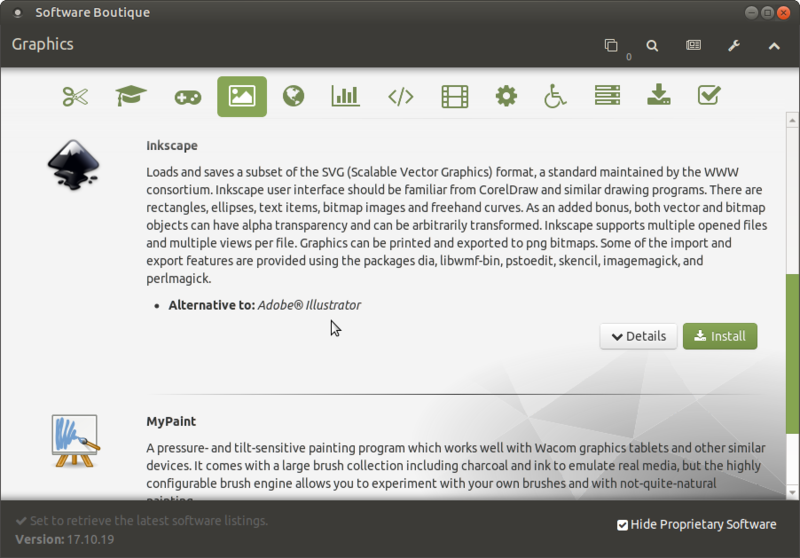 I show it below with F3 (split vertically) and multitabs features. Why? 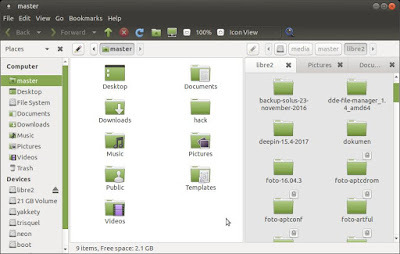 Because this shows the thing Ubuntu original (GNOME) has been abandoned, the F3 (split vertically) which Ubuntu MATE still keep it for us. Ubuntu MATE Bionic beta 2 does not have Synaptic Package Manager, GNOME Software, or Plasma Discover. However, it has Software Boutique, it is located within the Welcome Greeter mentioned above. 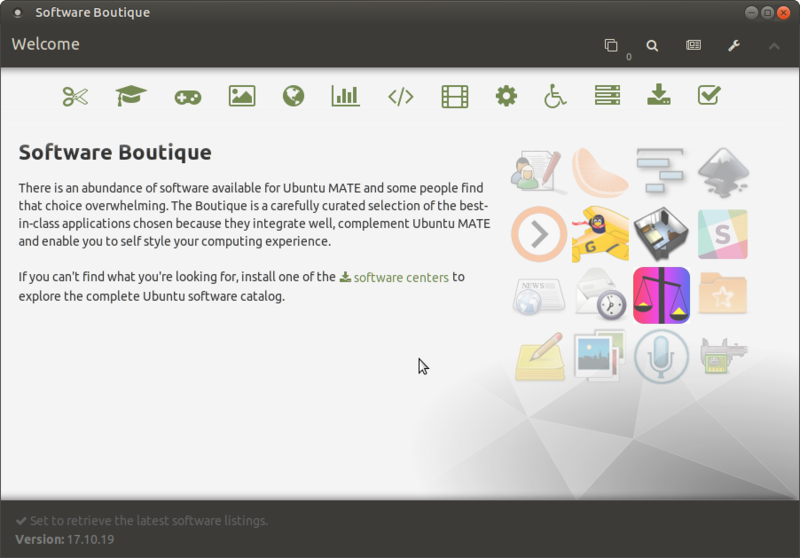 Within this Boutique you can search, find, and install programs you love on Ubuntu MATE. 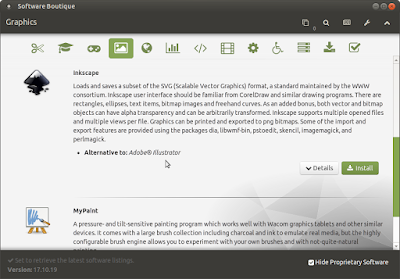 It has very unique interface which you won't have on the 3 software centers I mention above, it is very user-friendly with good explanation in every software displayed. You will find Boutique on menu > Administration > Software Boutique. It is a new thing you will enjoy everyday. It's really enjoyable. 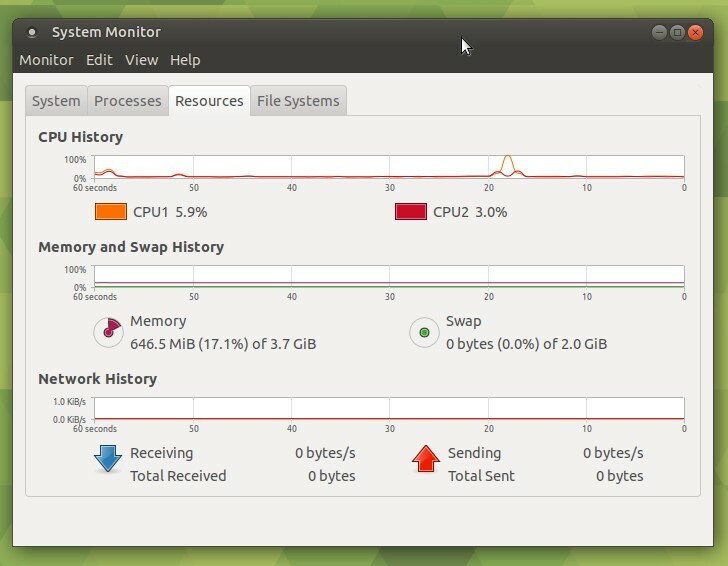 This beta 2 version runs very smooth from a 16GB SDCard on my low-end Acer Aspire One laptop (Intel Pentium, 4GB of RAM) so we could imagine the final release would run really smoother particularly on greater computers. 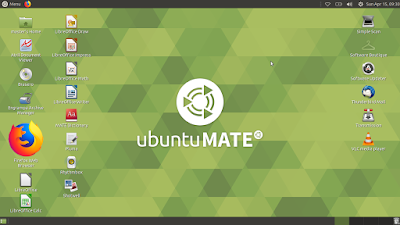 If you need one desktop operating system to be enjoyed by Mac OS X and Windows and Unity 7 users, while keeping the same experience for all other kinds of users, and you don't mind 640MiB of RAM at idle, that is clearly Ubuntu MATE. Everybody will enjoy it. We could expect the same or better set of features to arrive at final release later on April 26. Good job, Ubuntu MATE team!